The Journal has proved an exciting step forward for the field of dementia care generally, and social research specifically. It acts as a major forum for social research of direct relevance to improving the quality of life and quality of care for people with dementia and their families. "Dementia research has come of age and recognizes the value of studying psychosocial aspects related to this disease. Dementia serves an important role in the dissemination of studies on how to improve quality of care and thereby quality of life in people with dementia and their informal carers. It also offers a forum for studies on care staff, which is increasingly important since many countries struggle with a lack of well-educated staff. Dementia helps academics, educators, students, professionals working in dementia care and policy makers in acquiring knowledge and valuation of psychosocial aspects related to dementia. It is a new but well-regarded journal, with an international perspective and a willingness to publish cross-boundary and innovative research which makes it essential reading." Prof. M. Vernooij-Dassen, Radboud University Medical Center Nijmegen, the Netherlands. The aim of the journal is to publish original research, or original scholarship contributions, to the existing literature on social research and dementia. The journal will consider all relevant designs, methods and methodologies that meet this aim. The journal will also consider narrative-based and/or other forms of literature review that seek to answer social research questions in dementia studies; however, such reviews need to have a systematic approach to literature collation and reporting. All original research published in the journal must comply with ethical approval processes. Dementia is hosted on SAGE track; a web based online submission and peer review system powered by ScholarOneTM Manuscripts. Please visit http://mc.manuscriptcentral.com/dementia to log in and submit your article online. All original papers must be submitted to the journal via the online system. The online submission process follows a standard format and contributors will be asked to confirm that all authors have agreed to the submission and that the article is not currently being considered for publication by any other paper-based or electronic journal. All submissions should avoid the use of insensitive or demeaning language. In particular, authors should use ‘dementia-friendly’ language in positioning people living with dementia in their article and avoid using pejorative terms such as ‘demented’ or ‘suffering from dementia’. We recommend that authors refer to the Dementia Engagement and Empowerment Project (DEEP) guidance [http://dementiavoices.org.uk/resources/deep-guides/], which was developed by people living with dementia and offers a range of advice and support, including writing dementia-friendly information. Alternatively, Alzheimer’s Australia sets out guidelines for dementia-friendly language [https://fightdementia.org.au/sites/default/files/NATIONAL/documents/lang.... Please also consider how you are using abbreviations in your submission. Whilst QoL (for quality of life) and MMSE (for Mini-mental State Examination) may have common usage, please try to avoid unnecessary abbreviations in the submission of your manuscript, such as PWD (for people with dementia) and abbreviations that detract from the overall flow of the manuscript. Special editions of Dementia are commissioned by the journal’s Editors and we welcome suggestions for such copy. If you would like to consider being a Guest Editor(s) of Dementia and have a topic in mind, please contact prof Ruth Bartlett (R.L.Bartlett@soton.ac.uk) and/or prof Elaine Wiersma (ewiersma@lakeheadu.ca) in the first instance. Innovative Practice: The journal also welcomes short papers on various aspects of innovative practice in dementia care. Jo Moriarty at King’s College London, UK (jo.moriarty@kcl.ac.uk) is the Editor for this section of the journal which is published twice a year. Submissions for Innovative Practice are generally between 2500-3000 words, but longer papers can be received in exceptional circumstances. Please visit http://mc.manuscriptcentral.com/dementia to log in and submit your Innovative Practice article online. This section of the journal is not peer reviewed. For all other original articles, including literature reviews, Dementia operates a strictly anonymous peer review process in which the reviewer’s name is withheld from the author and the author’s name from the reviewer(s). We aim for each manuscript to be reviewed by two reviewers but the Editors reserve the right to return the decision to the author with more, or less, reviews depending upon the context and circumstances of the submitted article. All manuscripts are reviewed as rapidly as possible and correspondence with the main author will be undertaken electronically. All submitting authors should be mindful that their manuscript may be reviewed by a person living with dementia as part of the journal’s Editorial Board. Please read the guidelines below then visit the Journal’s submission site http://mc.manuscriptcentral.com/dementia to upload your manuscript. Please note that manuscripts not conforming to these guidelines may be returned. Only manuscripts of sufficient quality that meet the aims and scope of Dementia will be reviewed. Before submitting your manuscript to Dementia, please ensure you have read the Aims & Scope. Dementia welcomes original research or original contributions to the existing literature on social research and dementia. Brief articles should be up to 3000 words and more substantial articles between 5000 and 6000 words (references are not included in this word limit). At their discretion, the Editors will also consider articles of greater length. Dementia also welcomes papers on various aspects of innovative practice in dementia care. Submissions for this part of the journal should be between 2,500-3,000 words. Innovative practice papers should include the words 'Innovative Practice' after the title of their article when submitting to the journal. For further information about innovative practice papers, please refer to the guidelines. Dementia operates a strictly anonymous peer review process in which the reviewer’s name is withheld from the author and, the author’s name from the reviewer. Each manuscript is reviewed by at least two referees. 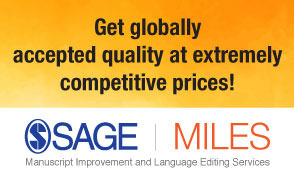 All manuscripts are reviewed as rapidly as possible. Dementia requires all authors to acknowledge their funding in a consistent fashion under a separate heading. Please visit the Funding Acknowledgements page on the SAGE Journal Author Gateway to confirm the format of the acknowledgment text in the event of funding, or state that: This research received no specific grant from any funding agency in the public, commercial, or not-for-profit sectors. It is the policy of Dementia to require a declaration of conflicting interests from all authors enabling a statement to be carried within the paginated pages of all published articles. Dementia and SAGE take issues of copyright infringement, plagiarism or other breaches of best practice in publication very seriously. We seek to protect the rights of our authors and we always investigate claims of plagiarism or misuse of published articles. Equally, we seek to protect the reputation of the journal against malpractice. Submitted articles may be checked with duplication-checking software. Where an article, for example, is found to have plagiarised other work or included third-party copyright material without permission or with insufficient acknowledgement, or where the authorship of the article is contested, we reserve the right to take action including, but not limited to: publishing an erratum or corrigendum (correction); retracting the article; taking up the matter with the head of department or dean of the author's institution and/or relevant academic bodies or societies; or taking appropriate legal action. Dementia offers optional open access publishing via the SAGE Choice programme. For more information please visit the SAGE Choice website. For information on funding body compliance, and depositing your article in repositories, please visit SAGE Publishing Policies on our Journal Author Gateway. Dementia requires authors to submit a short author biography. You will be asked to upload this as a seperate file. Language and terminology. Jargon or unnecessary technical language should be avoided, as should the use of abbreviations (such as coded names for conditions). Please avoid the use of nouns as verbs (e.g. to access), and the use of adjectives as nouns (e.g. dements). Language that might be deemed sexist or racist should not be used. All submissions should avoid the use of insensitive or demeaning language. In particular, authors should use ‘dementia-friendly’ language in positioning people living with dementia in their article and avoid using pejorative terms such as ‘demented’ or ‘suffering from dementia’. We recommend that authors refer to the Dementia Engagement and Empowerment Project (DEEP) guidance which was developed by people living with dementia and offers a range of advice and support, including writing dementia-friendly information. Alternatively, Alzheimer’s Australia sets out guidelines for dementia-friendly language. Please also consider how you are using abbreviations in your submission. Whilst QoL (for quality of life) and MMSE (for Mini-mental State Examination) may have common usage, please try to avoid unnecessary abbreviations in the submission of your manuscript, such as PWD (for people with dementia) and abbreviations that detract from the overall flow of the manuscript. Abbreviations. As far as possible, please avoid the use of initials, except for terms in common use. Please provide a list, in alphabetical order, of abbreviations used, and spell them out (with the abbreviations in brackets) the first time they are mentioned in the text. Dementia adheres to the APA reference style. View the APA guidelines to ensure your manuscript conforms to this reference style. Dementia is hosted on SAGE Track, a web based online submission and peer review system powered by ScholarOne™ Manuscripts. Visit http://mc.manuscriptcentral.com/dementia to login and submit your article online. Innovative Practice papers must be submitted via the online system. If you would like to discuss your paper prior to submission, please email Jo Moriarty jo.moriarty@kcl.ac.uk.